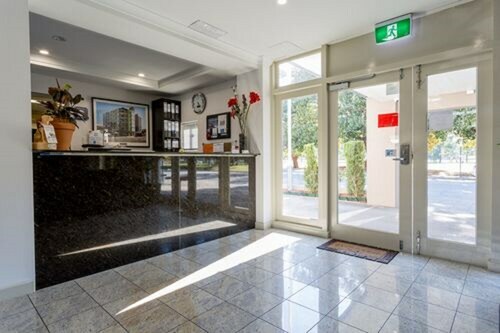 Situated in East Perth, this luxury hotel is within a 10-minute walk of Queens Gardens, Langley Park, and World Australia Cricket Association Museum. Perth Mint and WACA are also within 15 minutes. Perth Claisebrook Station is 19 minutes by foot and Perth McIver Station is 20 minutes. Located in the heart of East Perth, this hotel is within a 10-minute walk of Queens Gardens, Perth Mint, and Langley Park. WACA and SCITECH Discovery Centre are also within 3 mi (5 km). Perth Claisebrook Station is 14 minutes by foot and Perth McIver Station is 16 minutes. 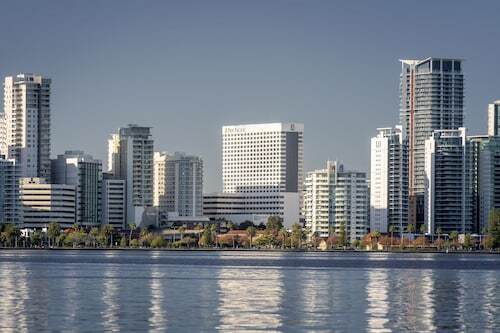 Overlooking the Swan River, near Elizabeth Quay and Kings Park, this hotel is less than 1 km (0.6 mi) from the Perth Mint, Perth Concert Hall, Hay Street Mall, and Swan Bells bell tower. Cottesloe Beach is about 11 km (7 mi) away. Situated in the business district, this luxury aparthotel is within a 15-minute walk of WACA and Perth Mint. Optus Stadium and SCITECH Discovery Centre are also within 3 mi (5 km). Perth Claisebrook Station is 20 minutes by foot and Perth McIver Station is 22 minutes. Situated in East Perth, this motel is within a 15-minute walk of Perth Mint and WACA. Optus Stadium and SCITECH Discovery Centre are also within 2 mi (3 km). Perth Claisebrook Station is 8 minutes by foot and Perth McIver Station is 12 minutes. Located in the heart of East Perth, this spa hotel is within 1 mi (2 km) of Perth Mint and WACA. SCITECH Discovery Centre and Kings Park War Memorial are also within 3 mi (5 km). Perth McIver Station is 15 minutes by foot and Perth Claisebrook Station is 17 minutes. 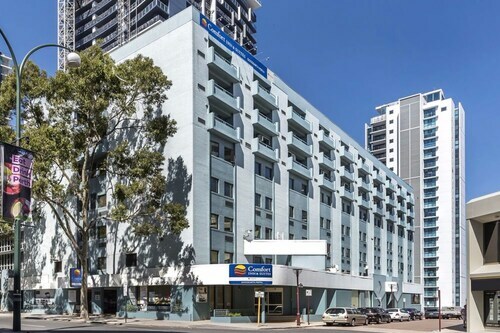 Located in the heart of East Perth, this hotel is within 1 mi (2 km) of Perth Mint and WACA. SCITECH Discovery Centre and Kings Park War Memorial are also within 3 mi (5 km). Perth McIver Station is 15 minutes by foot and Perth Claisebrook Station is 17 minutes. 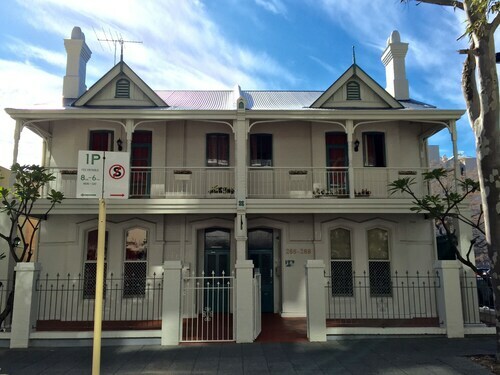 Situated in East Perth, this hostel is within a 10-minute walk of Perth Mint and Royal Perth Hospital. Hay Street Mall and nib Stadium are also within 1 mi (2 km). Perth McIver Station is 13 minutes by foot and Perth Claisebrook Station is 14 minutes. Situated in East Perth, this luxury apartment building is within a 15-minute walk of Queens Gardens and Royal Perth Hospital. Elizabeth Quay and Hay Street Mall are also within 2 mi (3 km). Perth Claisebrook Station is 15 minutes by foot and Perth McIver Station is 17 minutes. You’ve decided to visit Perth! Congratulations! You’re in for a holiday filled with sunshine, beaches, shopping and the trendiest dining this side of the Indian Ocean. But where to stay? Well, traveller, there is a place just a hop, skip and jump from both the CBD and the airport; a place especially popular with cricket fans and foodies alike. It’s East Perth, and it’s your best bet for an affordable yet luxurious getaway. Just see for yourself as you browse our East Perth hotels. How do I get to East Perth from the airport? East Perth is just under 10km from the airport, so it’s usually a quick and easy cab ride. For a cheaper option, bus route 380 will drop you at Victoria Park Transfer Station, where you can hook up with a bus to East Perth. Once you’re settled at your East Perth hotel, you’ll have plenty of public transport at your fingertips, plus ferries and even bicycle rentals. What are the most popular hotels in East Perth? What kind of hotels are there in East Perth? 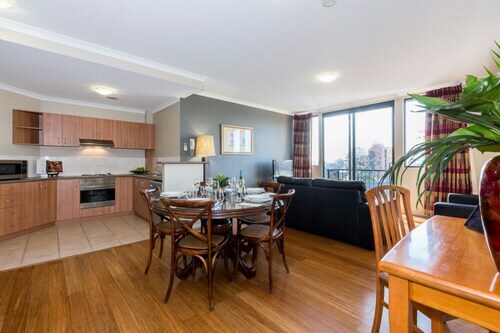 East Perth accommodation is a great place to stay for both business and leisure travellers. Whether you want all the best amenities or just a cheap place to crash, you’ll find it here. Live like a local at Mont Clare Boutique Apartments, where you’ll have a laundry area, balcony and full kitchen to cook up meals for your new friends you made at the cricket game. 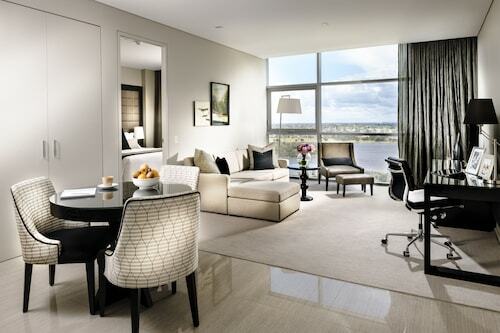 Or live like one of those millionaires we mentioned at the five-star Pan Pacific Perth. The lobby is impressive enough, but once you get to your room, you’ll really be blown away. Where should I stay in East Perth? It may be a pretty small neighbourhood, but you’ve still got some options when it comes to where to book your accommodation in East Perth. 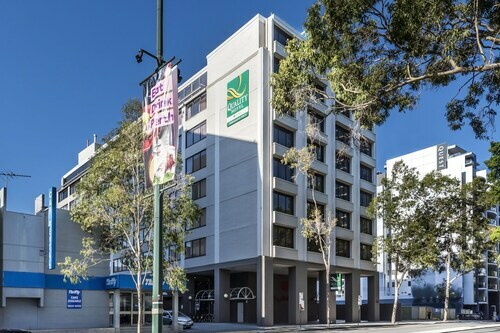 Mercure Hotel is just a half-kilometre from Elizabeth Quay and the Bell Tower, and offers city view rooms. The Sebel East Perth is in the northern part of town, walking distance to the hippest restaurants. Plus, you can enjoy views of Claisebrook Cove from your window or a stroll on the grounds. From Fraser Suites Perth, you can walk to the WACA Cricket Grounds and the Perth Mint—though you may never want to leave this five-star hotel. What are some things to do in East Perth? Sure, one of the perks is its convenience to the CBD, but there’s plenty to do without even leaving the area. Eat! Try The Royal on Waterfront, a boardwalk bistro with a craft beer list longer than your bestie’s wedding registry. Or get down on a hot dog at Wassup Dog—yes, they even have hot dogs for brekkie. Adventure! You can take the ferry all the way to Rottnest Island. You don’t need an East Perth travel guide to tell you that quokkas are the cutest animals on earth, and Rottnest Island has ’em! Hit the bars! 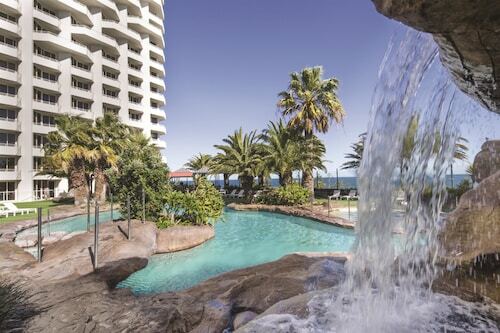 Of course, if you love partying, Gold Coast accommodation is also calling your name. Rise with the sun on the eastern side of the country—just something to think about. Here’s another thing to think about: The great selection of hotels right here on Wotif. And when you bundle your accommodation and airfares with our East Perth holiday packages, you’ll have more coin than the Perth Mint! Well, maybe not, but pretty close. How Much is a Hotel Room in East Perth? Hotels in East Perth start at AU$30 per night. Prices and availability subject to change. Additional terms may apply.